(91outcomes.com) -- For the last several years, there has been gradually building momentum to develop treatments for Gulf War Illness, a debilitating chronic health condition that science has shown to affect between one-fourth and one-third of the veterans from the 1991 Gulf War and that likely resulted from a combination of toxic exposures. SPECIFIC ACTION NEEDED: The current targeted effort seeks co-signers in Congress before the fast approaching deadline for "Dear Colleague" letters to continue funding for the treatment-focused Gulf War Illness Research Program (GWIRP). It is a unique, congressionally-directed program (CDMRP) aimed at improving the health and lives of veterans with Gulf War Illness. Last year, one-fifth of Congress signed on in support, including 83 Members of the House and 20 U.S. Senators. (FY19, calendar year 2018). This year, we saw that increase in the House to 97 Members, while the Senate effort is still in progress. A list of the current cosigners and the actual text of the Dear Colleague letter are posted below. Read below for more details before calling your Congressperson and Senators. 1) U.S. House of Representatives. 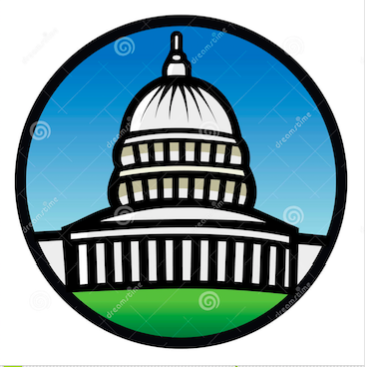 Contact the Washington, DC office of your Congressman/Congresswoman and ask for him/her to sign onto the "Sablan-Bergman Dear Colleague letter for the Gulf War Illness Research Program" (FY20, DoD-CDMRP). 2) U.S. Senate. Contact the Washington, DC office of your U.S. Senator and ask for him/her to sign onto the "Baldwin Dear Colleague letter for the Gulf War Illness Research Program" (FY20, DoD-CDMRP). 1. Find your federal representatives in Congress. You have one Representative in the House who represents the Congressional district in which you live and two U.S. Senators who represent your entire state. HOUSE: Find your Congressman/Congresswoman in the U.S. House of Representatives here (near the top right corner, enter your zip code). SENATE: Find your two U.S. Senators here. "May I please speak with the legislative staff person who handles DoD appropriations?" "My name is Norman Schwartzkopf. I'm a constituent who lives in Tampa." HOUSE: "I'm calling to request that Congressman Smith sign onto the "Sablan-Bergman Dear Colleague letter for the Gulf War Illness Research Program" (FY2020, DoD). SENATE: "I'm calling to request that Senator Jones sign onto the "Baldwin Dear Colleague letter for the Gulf War Illness Research Program" (FY2020, DoD). "I'm also a Gulf War veteran myself." Senate: Mr. Blake Souter in the office of Senator Tammy Baldwin. 7. Ask if the staffer would like you to email a short one-pager about the program. 8. Thank the staff person for their time. Ask that the staff person if they would please follow-up with you to let you know the Senator's or Congressman's/Congresswoman's decision. Do not argue or get angry with the staffer under any circumstance. There are often many factors and processes involved in decisions to sign-on. Message us if there are any unusual issues. 1) WHAT IS THE GOAL? The goal is to get as many members of Congress as possible to co-sign before the deadline. The goal of the GWIRP is improved health and lives of veterans with Gulf War Illness. 2) WHAT CAN I DO TO HELP? Call or message your Congressperson in the U,S. House and your two U.S. Senators for your state. See above for quick and easy steps to make your request. 3) WHO IS LEADING THIS FUNDING EFFORT IN CONGRESS? This is a fully bipartisan effort. Rep. Jack Bergman, LTG, USMC (Ret.) (R-Michigan) are co-leads. Both serve on the U.S. House Committee on Veterans' Affairs. House Veterans Affairs Committee Chairman Rep. Mark Takano (D-California) and Ranking Member Rep. Phil Roe, M.D. (R-Tennessee) were the first House co-signers. U.S. Senator Tammy Baldwin (D-Wisconsin) is leading the bipartisan effort for the Senate. 4) AT WHAT LEVEL SHOULD THE FUNDING BE SUPPORTED, AND WHY? The request is for sufficient continuation funding for this successful, unique, and important program. 5) WHY IS THIS PROGRAM NEEDED? 6) WHO SUPPORTS THIS PROGRAM? Many national veterans service organizations (VSO's) have supported the GWIRP. The Congressionally-mandated Research Advisory Committee (RAC) on Gulf War Veterans' Illnesses and the Independent Budget called for support for this program in their reports. FY2019 VSO supporters included: Veterans of Foreign Wars, Veterans for Common Sense, National Gulf War Resource Center, National Vietnam and Gulf War Coalition, Burn Pits 360, Disabled American Veterans, Paralyzed Veterans of America, AMVETS, Vietnam Veterans of America, Jewish War Veterans of the USA, Fleet Reserve Association, Military Order of the Purple Heart, Enlisted Association of the National Guard of the United States, and the Air Force Association. FY18 VSO supporters included: The American Legion; AMVETS; Burn Pits 360; Disabled American Veterans (DAV); Lung Cancer Alliance; National Gulf War Resource Center (NGWRC); National Vietnam & Gulf War Veterans Coalition; Paralyzed Veterans of America (PVA); Sergeant Sullivan Circle; Veterans for Common Sense (VCS); Veterans of Foreign Wars (VFW); and Vietnam Veterans of America (VVA). FY17 VSO supporters included: the American Legion; AMVETS; Association of the U.S. Navy (AUSN); Burnpits360; Disabled American Veterans (DAV); Lung Cancer Alliance; National Gulf War Resource Center (NGWRC); National Vietnam & Gulf War Veterans Coalition; Paralyzed Veterans of America (PVA); Sergeant Sullivan Circle; Toxic Wounds Task Force; Veterans for Common Sense (VCS); Veterans of Foreign Wars (VFW); Vietnam Veterans of America (VVA). 7) WHEN SHOULD I CALL MY SENATORS'/CONGRESSPERSON'S OFFICE? Right away. The deadline is fast approaching. Typically, their offices need a few days to secure approval to sign-on. 8) WHEN IS THE DEADLINE? Refer to the top of this article for the deadline to sign-on. 9) WHERE CAN I GET MORE INFORMATION? 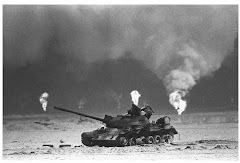 The Gulf War Illness Research Program (GWIRP) is a Congressionally Directed Medical Research Program (CDMRP), a Congressionally directed activity funded under the U.S. Department of Defense and separate from the VA.
10) WHAT DOES RECENT RESEARCH SAY ABOUT GULF WAR ILLNESS? 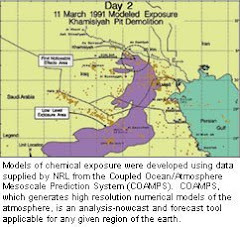 In addition to the resources listed above, recent research shows that a combination of toxic exposures are likely the cause of Gulf War Illness. Psychiatric causes have been ruled out. 11) WHO IS CURRENTLY SIGNED ON? This list is updated daily. 12) WHAT DOES THE "DEAR COLLEAGUE" LETTER ACTUALLY SAY? The text of the Sablan-Bergman (House) and Baldwin (Senate) Dear Colleague letters is below. They are naturally very similar. Thank you for your continued support for the Gulf War Illness Research Program (GWIRP) within the Department of Defense (DoD) Congressionally Directed Medical Research Programs (CDMRP), including the $22 million provided in Fiscal Year (FY) 2019. As your Subcommittee begins work on the FY 2020 DoD Appropriations Bill, we are writing to share details of the program and to respectfully request that you include adequate funding to continue the GWIRP’s successful work on behalf of Gulf War veterans. While two-thirds of GWIRP studies are still in progress, the positive news is that there is a growing body of GWIRP-funded study results, many published in peer-reviewed scientific journals, that demonstrates steady advances of GWIRP’s goals of identifying underlying mechanisms, diagnostic markers, and treatments.1 For example, the GWIRP-funded consortia at Boston University and Nova Southeastern University identified several potential treatments through their interdisciplinary preclinical and computational biology research projects; those treatments will now be tested in the Gulf War Illness Clinical Trials and Interventions Consortium (GWICTIC), which will include five clinical trials at seven study sites (three VA) to target GWI’s inflammation, energy production, and immune function issues. And, the GWIRP-funded Boston Biorepository, Recruitment, and Integrative Network (BBRAIN) will aggregate biological samples and data to further advance GWI diagnostic marker efforts.4These successes are the direct result of clear treatment-focused congressional direction, stable appropriations for the GWIRP, and effective GWIRP management. "Congress should maintain its funding to support the effective treatment-oriented [GWIRP]. "2(p.14) These gradually building scientific results continue to represent encouraging steps toward achieving the 2010 NASEM treatment goals "to speed the development of effective treatments, cures, and, it is hoped, preventions"3(p.1) for current and future U.S. forces at risk of similar exposures and outcomes. Indeed, the GWIRP has served as a model of how to conduct treatment-oriented research to address a challenging illness and is succeeding where earlier programs failed. Its two-tier peer-reviewed and highly competitive process ensures the independence and value of the results produced. While VA’s research program is intramural (it only funds VA researchers), GWIRP is not similarly constrained and seeks to find and fund the best research by any combination of government, academic, or private-sector research teams. We respectfully request that you provide the necessary resources to continue this vital and effective program in the FY20 DoD Appropriations Bill. Furthermore, it is critical to the program's success and accountability that it remains a stand-alone program within the CDMRP and not be combined as a topic area within broader, less-targeted research programs. Thank you for your consideration of our request, which is supported by the Veterans of Foreign Wars (VFW), Veterans for Common Sense, Disabled American Veterans (DAV), Vietnam Veterans of America (VVA), Iraq and Afghanistan Veterans of America (IAVA), AMVETS, Paralyzed Veterans of America (PVA), Blinded Veterans Association, The Enlisted Association (TREA), Military Officers Association of America (MOAA), Fleet Reserve Association, Association of the United States Navy (AUSN), Air Force Sergeants Association (AFSA), National Gulf War Resource Center, Burn Pits 360, Sgt. Sullivan Circle, and the National Vietnam and Gulf War Coalition. We invite you to join us in sending a letter (text below) to the House Defense Appropriations Subcommittee urging continued support in FY 2020 for the treatment-focused Gulf War Illness Research Program within the Department of Defense Congressionally Directed Medical Research Programs (CDMRP). The Gulf War Illness Research Program is a unique federal program with an unprecedented vision to achieve,“improved health and lives of Veterans who have Gulf War Illness.” The GWIRP continues to succeed in efforts to “fund innovative Gulf War Illness (GWI) research to identify effective treatment and accelerate their clinical application, improve definition and diagnosis, and better understand pathobiology and symptoms.”As specified in more detail in the letter, the GWIRP continues to demonstrate its effectiveness in its mission to improve the health and lives of veterans debilitated and suffering from Gulf War Illness. We need to ensure that these efforts continue for these veterans and for current and future U.S. forces at risk of similar exposures and outcomes. The most recent report of the Congressionally-mandated Research Advisory Committee on Gulf War Veterans’ Illnesses (RAC) recommended maintaining funding for this effective treatment-oriented program. The FY 2019 GWIRP request was supported by 83 offices, including current House Veterans Affairs Committee Chairman Takano and Ranking Member Roe, as well as then-Ranking Member Tim Walz and signed onto the letter. The Veterans of Foreign Wars and Veterans for Common Sensesupport this funding request. The deadline to sign on is March 28, 2019. Please contact  Frances Diazat in Rep. Sablan’s office or Remy Fortin in Rep. Bergman’s office for more information or to sign this letter. also thank you for providing the program $22 million in Fiscal Year 2019. By congressional design, the GWIRP is a unique medical research program narrowly focused on the vision of improving the health and lives of Veterans with Gulf War Illness. and data to further advance GWI diagnostic marker efforts. These successes are the direct result of clear, treatment-focused congressional direction, stable appropriations for the GWIRP, and effective GWIRP management. Recognizing the program's progress, the most recent RAC report's recommendations remain instructive: "Congress should maintain its funding to support the effective treatment­oriented [GWIRP]." The discoveries through the program continue to represent encouraging steps toward achieving the 2010 NASEM treatment goals "to speed the development of effective treatments, cures, and, it is hoped, preventions" for current and future U.S. forces at risk of similar exposures and outcomes. Indeed, the GWIRP has served as a model of how to conduct treatment­oriented research to address a challenging illness and is succeeding where earlier programs failed. Its two-tier peer-reviewed and highly competitive process ensures the independence and value of the results produced. Unlike the VA's GWI research program which only funds VA researchers, GWIRP seeks out and funds the best research by any combination of government, academic, or private-sector research teams. We respectfully request that you provide the necessary resources to continue this vital and effective program in the FY20 Defense Appropriations Bill. Furthermore, it is critical to the program's success and accountability that it remains a stand-alone program within the CDMRP and not be combined as a topic area within broader, less-targeted research programs. Thank you for your consideration of our request, which is supported by the Veterans of Foreign Wars (VFW), Veterans for Common Sense, Vietnam Veterans of America (VVA), Iraq and Afghanistan Veterans of America (IAVA), AMVETS, Paralyzed Veterans of America (PVA), Blinded Veterans Association (BV A), The Retired Enlisted Association (TREA), Military Officers Association of America (MOAA), National Gulf War Resource Center, Bum Pits 360, Sgt. Sullivan Circle, National Vietnam & Gulf War Veterans Coalition. MARK TAKANO PHIL ROE, M.D. ...with 97 total Members of Congress cosigning. Research Advisory Committee on Gulf War Veterans' Illnesses, U.S. Department of Veterans Affairs, “Gulf War Illness and the Health of Gulf War Veterans: Research Update and Recommendations, 2009-2013,” 2014. National Academy of Sciences, Institute of Medicine, “Gulf War and Health, Volume 8: Update of Health Effects of Serving in the Gulf War,” 2010. --Anthony Hardie, 91outcomes.com Author and Gulf War veteran advocate.